Professional Electrician working in Haywards Heath and surrounding areas. We never cut corners on any electrical jobs we undertake! We are more than capable of undertaking a variety of work in a range of commercial properties! Hi I'm David, I am a professional electrician who works in the Haywards Heath and surrounding areas. 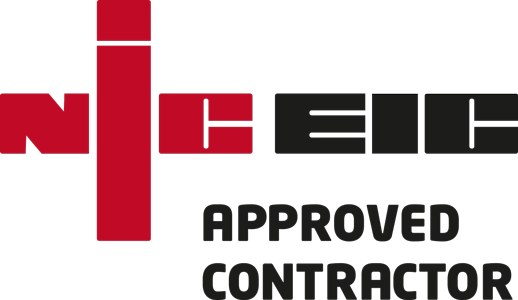 Established in 1985, David Bushby LTD is a full member of the NICEIC governing body for electricians. We are a local electrical company who work throughout Mid Sussex, as we believe this allows us to offer a better service. If you have a fault we can come check it out by the end of the day, as well as offer a better aftercare service if you are having any issues. Too top things off ALL our work under taken is guaranteed! I provide all my customers with FREE advice and estimates, as well as ALWAYS ensuring I give a prompt and efficient service. All my work is reliably seen through from start to finish, no matter the difficulty of the task. We do not subcontract the jobs we take on, meaning you will always receive a member of David Bushby LTD. Being a hard-working businessman with a family, I understand that modern day life can be very busy and finding the time to get quotes for work does not always fit into the normal 9-5 working day. Therefore, I am more than happy to visit customers at weekends and in the evenings at a time that would suit you. I pride myself on going the extra mile for my customers, as well as offering competitive prices. So, if you have a problem no matter how big or small the job, please don't hesitate to call on 01444 221 496 for a FREE initial consultation and quote.